The initial idea for Don’t Let Go came from a rough keyboard demo that I recorded at home some years ago. It made me think of a retro 60s R&B track, but I struggled to think of a suitable melody to accompany it, and my keyboard skills weren’t up to recording it or playing it live. So I asked my friend Francis Greene if he’d like to collaborate on the song. Francis (as some of you may know) is a well-known Surrey-based songwriter, guitarist and keyboard player. He agreed to have a look at it, so I passed him the demo and a few lyrics that I’d pulled together. After a while he came back with a full-length demo. Francis had added a great catchy melody, a new verse section, and a great chorus. At last the song had come to life. 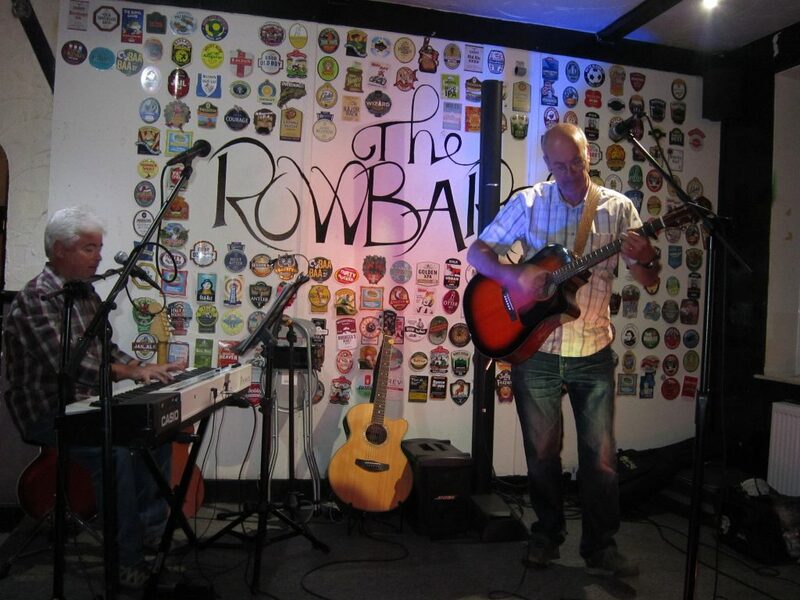 Francis Greens and Graham Armfield performing Don’t Let Go at the Rowbarge, Guildford. Photo by Claire Lonsdale. After I changed the key of the song to make it easier for me to sing, Francis and I performed the song for the first time at Vic’s Open Mic night at the Rowbarge, Guildford in September 2018. It was at this stage that I decided to include it in the ‘Found My Way‘ album I’d been recording through 2018. I didn’t get around to starting the studio recording of ‘Don’t Let Go’ until November. I’d created some rough guide tracks at home and took them in to begin working on the song. I re-recorded the bass, and acoustic guitars, and set up a great drum track. I then recorded the lead vocals over the demo guitars and keyboards. 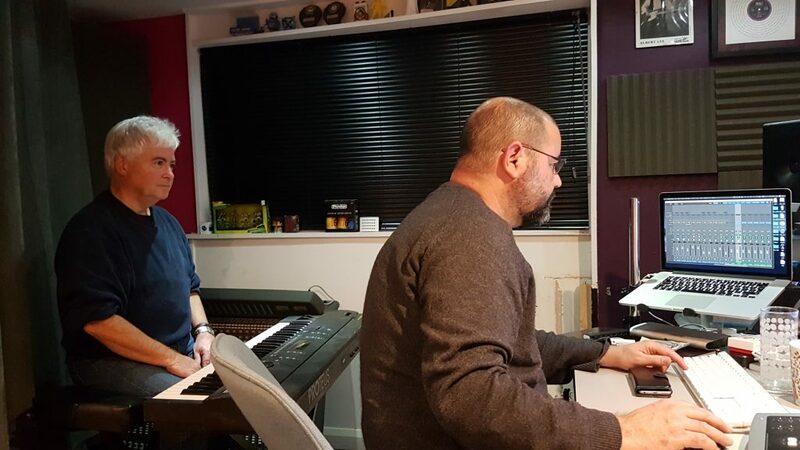 In December I invited Francis into Miacon Studio to do the definitive keyboard parts and to record some backing vocals in the choruses. Neal from Miacon Studio prepares to record Francis’ keyboard parts. 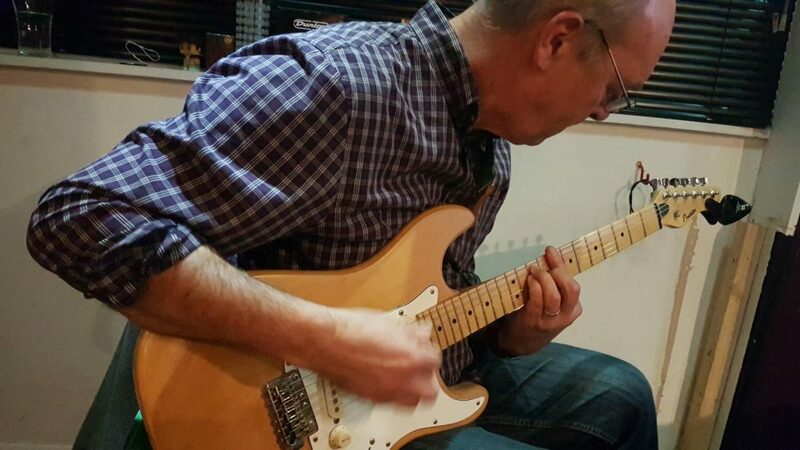 And then finally in January 2019 I recorded some new electric guitar parts. Whilst doing the recording with Francis I recorded some video clips on my phone. Neal also recorded some shots when I was re-recording the guitar. So here’s a short video showing some of the process. Hope you like it. As I write this, Don’t Let Go is ready for its final mix – the first of the new album songs to get that far. So ironically, the song that was the last to be started will end up being the first one actually finished. I’m hoping that the rest of the songs will be finished soon, and the ‘Found My Way‘ album will be released in the early Spring 2019. I’ll be posting more details soon.